A team from the Ministry of Environment Forestry and Climate Change(MoEF&CC) visited the honey value chain which was being facilitated by Samarthak Samiti in Udaipur, Rajasthan on 1 October 2017. 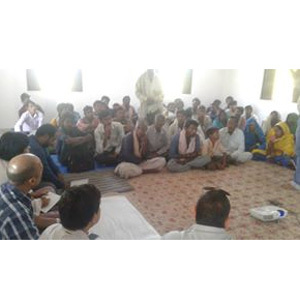 Samarthak Samiti has been successful in making a honey value chain with the help from the intervention by GEF-UNDP-SGP. Honey collection and processing was introduced as an alternative means of livelihood for the tribal families and thereby the unsafe employment migration to other states has being reduced. A total of 700 honey collectors have been trained and and were given tool kits from TRIFED which is also facilitated by Samarthak Samiti. 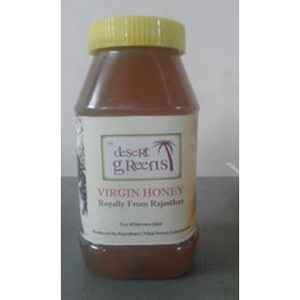 Samarthak Samiti further worked on the processing and marketing of the collected honey and currently sells it under the brand name of ‘Desert Greens’. This high quality product has received tremendous response of the buyers. The honey producer company is a wonderful explicable model and people led approach is really appreciated. 150 regular honey collectors are now under the facilitation of Samarthak Samiti and the average annual production is about 6 tons. 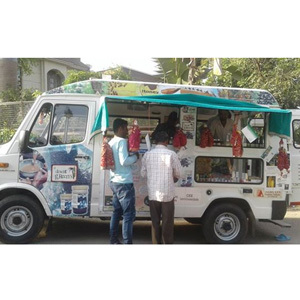 A mobile marketing outlet( tempo traveller van) has been introduced and it has become an excellent platform for marketing for the honey.